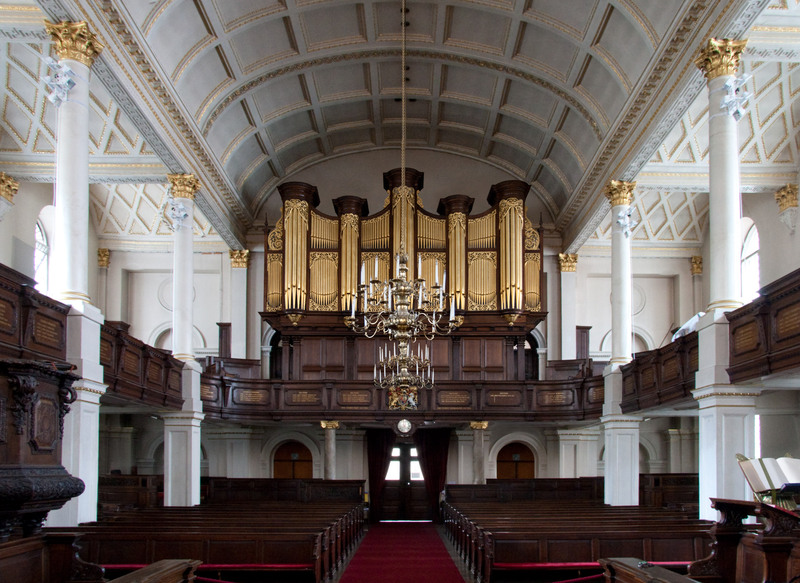 Christ Church Cathedral joined the Richards, Fowkes & Co. family as Opus 24 with the signing of a contract for a new organ on 12 December 2013. 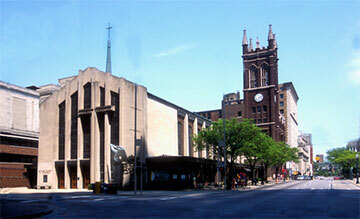 Christ Church Cathedral was founded on 18 May 1817, in Cincinnati, then a city of 9,000. The current church, post-modern in design, was consecrated on Palm Sunday, 1957. The church and congregation has maintained a vibrant mission that has evolved continuously in response to the changing needs of their community. With the arrival of Dean Gail Greenwell in late 2013 Christ Church is poised for the next chapter in a very rich history. The Cathedral has undertaken the harmonious execution of three major ministries as the congregation approaches its bicentennial celebration in 2017. These three ministries include the refurbishing of Centennial Chapel, replacement of the nave organ, and a signature outreach program that will have a long lasting impact on the City of Cincinnati. We are delighted to contribute to the third century vision of the Cathedral with the commissioning of a new nave organ, a three manual and pedal instrument of 58 stops. The expected delivery date is late 2017 to early 2018. Organist, conductor, and composer, Stephan Casurella, has been the director of music at Christ Church Cathedral since 2009 and oversees all aspects of music for the cathedral’s rich worship life. Stephen conducts the cathedral choirs, shares organ playing duties with the associate director of music, and coordinates a busy concert schedule. We are delighted to welcome Christ Church Cathedral to our family.